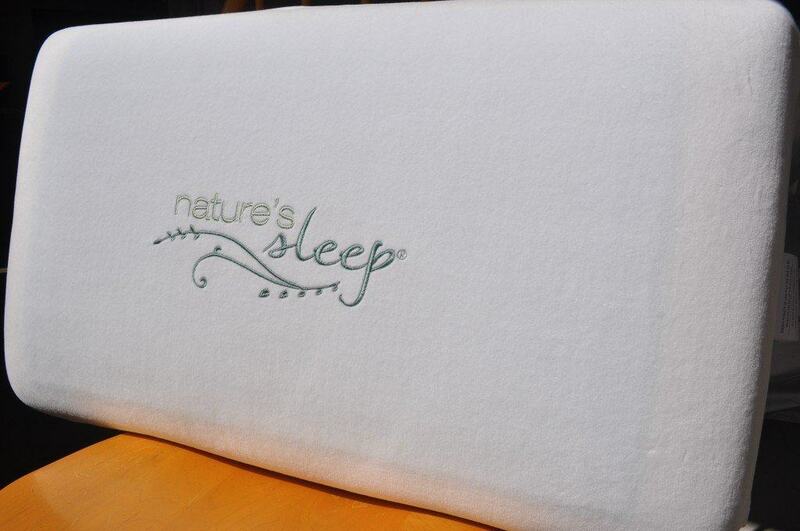 Meet the Nature’s Sleep gel memory foam pillow! 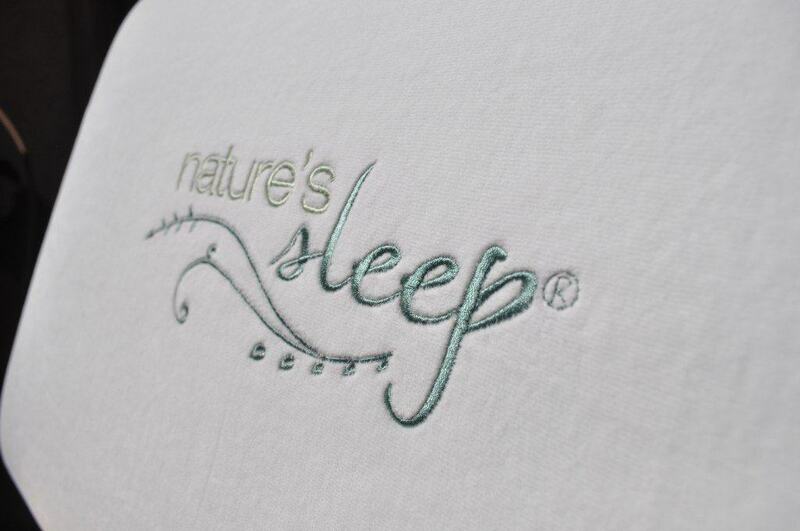 Nature’s sleep aims to create amazing mattresses, pillows, and other sleep products that result in great comfort, health, and harmony. 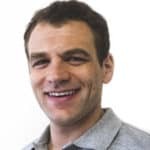 Their products utilize organic and other hygienic materials focused as much on maintaining good health as they are at being insanely comfortable. Continue reading for my full Nature’s Sleep gel memory foam pillow review or if you’d rather watch than read, check out our comprehensive video review here. Also, you’re in a rush you can jump to the bottom of this review for the final summary. This gel memory foam pillow uses Nature’s Sleep ViTex, a high-grade custom memory foam. It has all the great support and pressure relief of traditional memory foam, but with the responsiveness of a latex foam (meaning it rebounds quickly as you move). 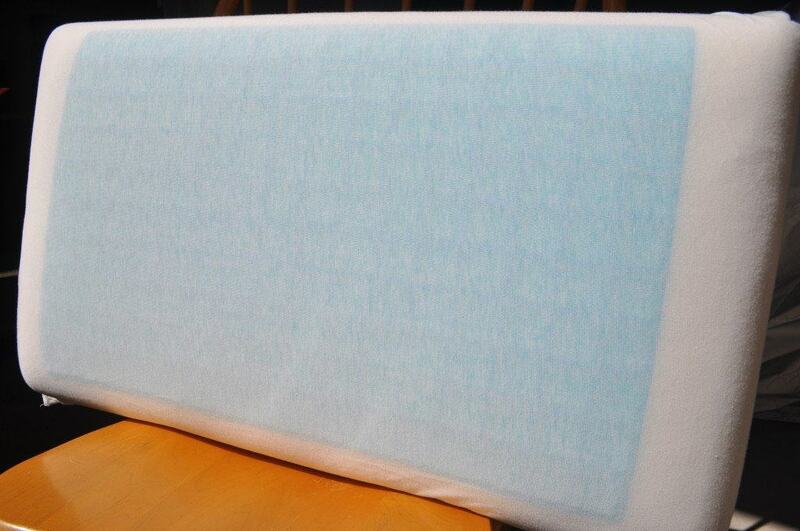 The foam core is a custom molded foam (not shredded memory foam) and is quite substantial in size. The foam core, and everything else in the pillow, is certified CertiPUR-US. CertiPUR-US indicates that pillow was made without ozone depleters, no PBDE flame retardants, no heavy metals, no formaldehyde, and has low VOCs. The primary foam core is great. However, what really makes this pillow special is the gel layer. One side of the pillow is lined with a padded external gel layer. This gel layer reacts several ways to help keep the pillow cool. As air naturally moves over the areas where your head is not resting it constantly cools the gel layer. It’s like a mini-AC for your pillow. The Nature’s Sleep gel memory foam pillow actually uses two separate covers, which will help to increase the pillows durability and lifespan. The inner cover is 100% cotton. This helps by providing an extra layer of protection. The outer cover is a 75/25 cotton-poly blend. This cover is extremely soft, breathable, and allergen resistant. The outer cover can be removed and is safe for machine washing. The biggest and best pro of this pillow is quite simply the cooling. I have slept on quite a few pillows in my life, some cool, some hot, and some in-between. However, I was blown away by the cooling of this pillow. Generally, when mattresses or pillows say they sleep cool it means they don’t absorb your body heat. The Nature’s sleep gel memory foam pillow does that, but goes a step beyond. The gel pad actually lowers the temperature by 3.5 degrees Fahrenheit. This might not sound like a huge temperature differential, but when it comes to your head / neck and sleep it’s substantial. The pillow actually sleeps cool, as opposed to just not sleeping hot. It’s an amazing benefit if you’re someone that sleeps hot or just want a cooler sleeping surface. Another big surprise for me was the smell. Most foam pillows smell. It’s just what they do when they are new. Generally the smell last 3-10 days and will dissipate after. However, I was surprised to find virtually zero smell with the Nature’s Sleep gel pillow. This is almost certainly due to the construction of the pillow itself. The high quality organic and hygienic materials are very clearly communicated by the lack of a substantial odor. Cheaper foams would have a major odor for several days. The fact that Nature’s sleep gel pillow does not speaks volumes on the quality. The biggest con for me was simply the height. As you can tell from the pictures this is not a small pillow (27″ x 16″ x 5″ for the Jumbo, pictured above). It’s fairly tall and fairly dense. I am primarily a stomach sleeper and as such I like pillows that are a bit more on the flat and moldable side. As a result, I found it difficult to sleep with this pillow on my stomach. While I wouldn’t recommend this pillow to a stomach sleeper, for back and side sleepers it’s still a great option. Additionally, this pillow is quite heavy at 5.5 pounds. For my review I analyzed the Jumbo size. If you like to move your pillow around during the night I would recommend going with the standard size. The standard size is only 3.3 pounds, so it’s much closer to a more traditional pillow weight. The standard size is 22″ x 15″ x 4″. Is the Nature’s Sleep gel memory foam pillow right for me? The Nature’s Sleep gel memory foam pillow is without question one of the highest quality pillows I have ever tested and reviewed. The quality of the foam, cover, and gel are visually evident. When you combine the construction factors with no smell, incredible cooling, and great support it’s a solid combination. Click here to shop for the Nature’s Sleep Gel Memory Foam pillow. Note: if you suffer from fibromyalgia or otherwise have extremely sensitive skin you should avoid this pillow. The gel padded layer creates pressures that may cause discomfort for these sleepers. However, the Nature’s Sleep gel infused pillow is a good option that has more consistent pressures. The Nature’s Sleep gel memory foam pillow hits all the major factors you look for in a good pillow. They utilize quality and healthy materials to craft a pillow that offers impressive support and a level of cooling I have seen no where else. A solid option for back / side sleepers, but stomach sleepers may find it too large.